The Maple Leafs by the Numbers Series continues with the No. 4. The number has been honored for two players, Hap Day and Red Kelly. So it’s pretty easy to see who the choice came down to. 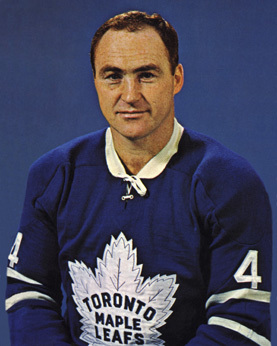 The number four has been worn quite a lot by members of the Toronto Maple Leafs. However, stints wearing the number have usually been pretty short. There are not too many players who wore it for more than three seasons. While Day was captain for 11 seasons and spent nearly his entire career in Toronto, I have to go with Kelly here. 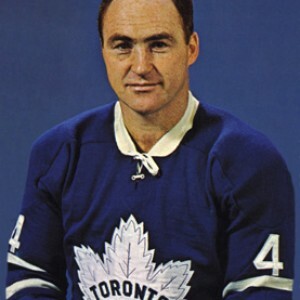 Kelly spent his junior career St. Michael’s College Majors, who at the time were a traditional feeder system for the Maple Leafs. However, a Leafs scout didn’t think Kelly would make it in the NHL. Therefore, he ended up signing with the Detroit Red Wings. So that makes it two straight players to start their career with Detroit before making it to Toronto. He would be third in Calder Trophy voting in his rookie season. He was close to a trophy that time, but would win some and receive other accomplishments throughout his career. Starting in the 1949-50 season, he would be named to an end of season All-Star Team four eight straight seasons. Out of those eight times, it was the First All-Star Team he was named to. He would also win the Lady Byng Memorial Trophy in 1951, 1953 and 1954 in addition to a Norris Trophy win in 1954. In addition to that, he was in the top four of Hart Trophy voting in three of the eight seasons. He would also win four Stanley Cups as a member of the Red Wings. In 1959, he had some troubles with the Red Wings organization because of how he had been playing. Detroit had agreed to trade him to the New York Rangers, but Kelly said he would rather retire than play for the Rangers. That led to him being traded to the Maple Leafs. After joining the Maple Leafs, head coach Punch Imlach made the decision to move Kelly, a defenceman, to the center position and it worked out. He had been a good playmaker as a defenceman and putting him on the same line as Frank Mahovlich made Mahovlich an even better goal scorer. He would play eight seasons in Toronto, but he won another four Cups with the Maple Leafs. He would also win one more Lady Byng Trophy during his time with the Maple Leafs, in 1961. Interesting factoid about Kelly: He served as a Member of Parliament as part of the Liberal Party of Canada from 1962-1965 while playing with the Maple Leafs.